What can we say about KAWS that you already don’t know? One of the most renowned American artists, considered to be one of the most relevant artists of his generation. He has a truly unique style, and uses different media and techniques in his art – but, his unique style is something that has made him so popular. KAWS is not only popular among art lovers, but also among collectors. His works are being sold for hundreds of thousands of dollars at auctions in major auction houses (be sure to check out 10 most expensive KAWS art pieces at auctions). 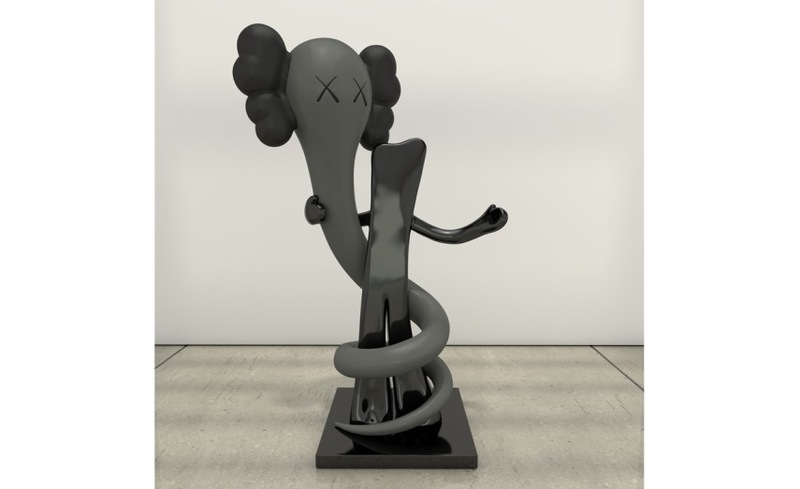 As we already mentioned, he creates in a variety of different media, while the visitors of the Yorkshire Sculpture Park will have an opportunity to see amazing KAWS works in the first UK museum exhibition by this great artist. KAWS exhibition at Yorkshire Sculpture Park is a unique opportunity for the visitors to see some of the most famous pieces by KAWS. Brian Donnelly, professionally known as KAWS, is an American graffiti artist, painter, illustrator, sculptor, toymaker, and product designer. Many articles have been written about his famous pieces that have been engaging people across the generations with contemporary art and especially open popular culture to young and diverse audiences. A dynamic cultural force across art, music and fashion, KAWS’s work possesses a wry humor with a singular vernacular marked by bold gestures and fastidious production. In the 1990s, KAWS conceived the soft skull with crossbones and crossed-out eyes which would become his signature iconography, subverting and abstracting cartoon figures. He stands within an art historical trajectory that includes artists such as Claes Oldenburg and Jeff Koons, developing a practice that merges fine art and merchandising with a desire to communicate within the public realm. 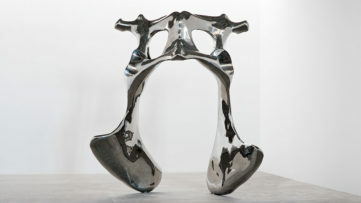 During the huge exhibition at Yorkshire Sculpture Park, visitors will also be able to see remarkable sculptures by KAWS. 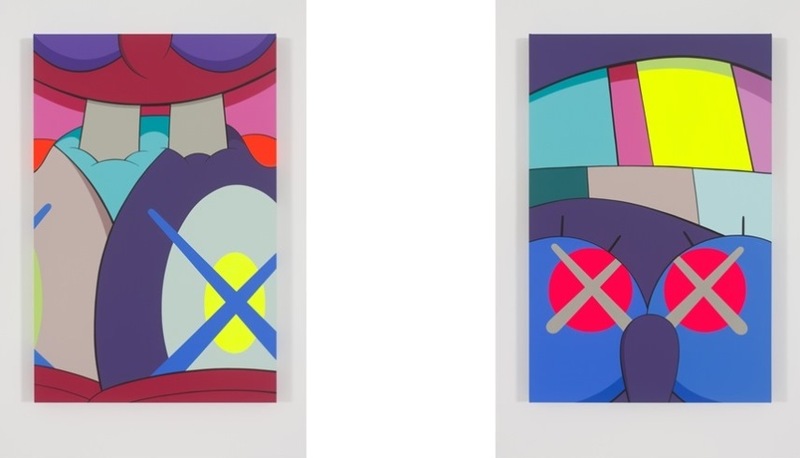 KAWS absorbs popular imagery to produce works that are semi-familiar, with layers of contradictions and subtleties. 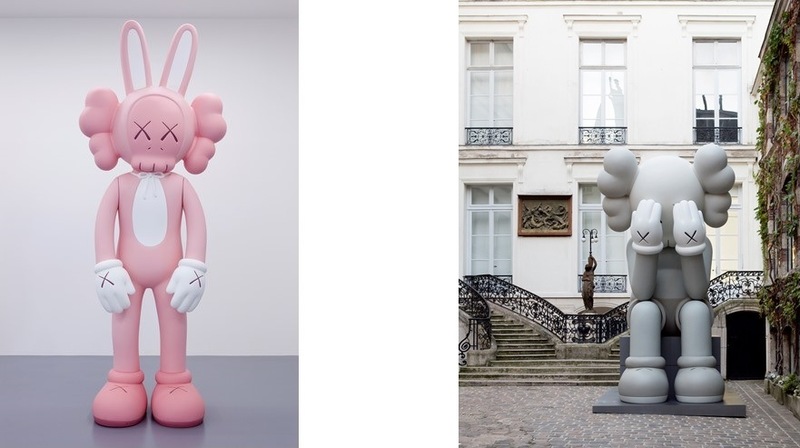 Outdoors, with their outsize and monumental proportions, KAWS’s sculptures bring to mind dystopian cartoon characters; recognizable personalities from childhood who appear to have lost their innocence. Against the Park’s tree line, the group of six works in natural and black-stained wood, measuring between six and 10 meters in height, are simultaneously spectacular and plaintive. Once bright, iconic characters are rendered in disheartened, world-weary poses; imposing yet full of pathos, they point to an array of psychological narratives, suggesting compassion, surprise and despair. In Longside Gallery, KAWS’s oeuvre is further extended by works including ACCOMPLICE (2010), a baby pink monstrous rabbit figure, a neon pink CHUM (2009), a bulbous figure, and the spermatozoa-like BORN TO BEND (2013), while COMPANION (RESTING PLACE) (2013), and the three-meter-high COMPANION (ORIGINALFAKE) (2006) from the artist’s Tokyo store, with its skin peeled back to reveal highly colored internal organs, is profoundly exposed. HE EATS ALONE (2014), fabricated in Corian and aluminium is a hybrid sculpture/painting, while UPS AND DOWNS (2012), the artist’s series of 10 acrylic canvases, point towards SpongeBob. In addition, the artist has made a series of five paintings especially for the exhibition. Each measuring 112 x 92 inches, they will span the largest wall of the spacious gallery, creating a swathe of brilliant color and complex energy. The exhibition will take place in the expansive Longside Gallery and open air, featuring over 20 works: commanding sculptures in bronze, fibreglass, aluminium and wood alongside large, bright canvases immaculately rendered in acrylic paint – some created especially for the exhibition. 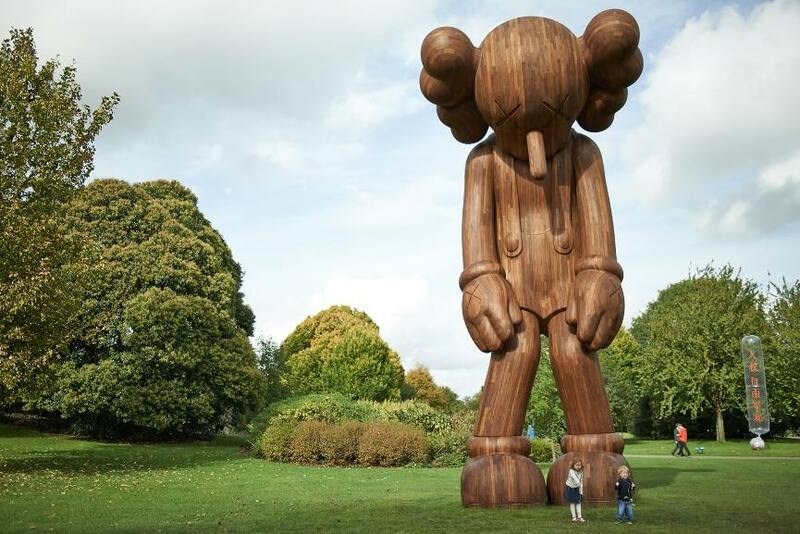 The Park’s historically designed landscape becomes home to a series of monumental and imposing sculptures, including a new six-meter-tall work, which take KAWS’s idiosyncratic form of almost-recognizable characters in the process of growing up. The show will be on view from February 6 until June 12, 2016 at Yorkshire Sculpture Park in the United Kingdom.